You’re looking for a suitable alternative to replace the old hardshell case on your iPhone 5? Take a look at the handmade bamboo wood iPhone 5 case, it may be able to catch your eyes. 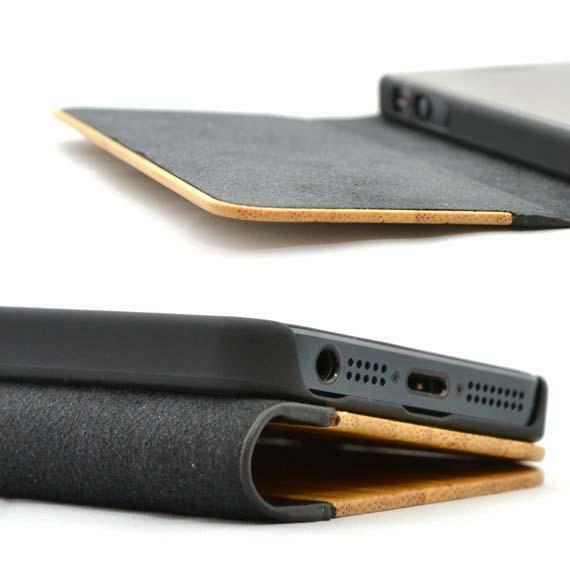 This is an eco-friendly protective case designed for iPhone 5, and handmade by tmbrwood. 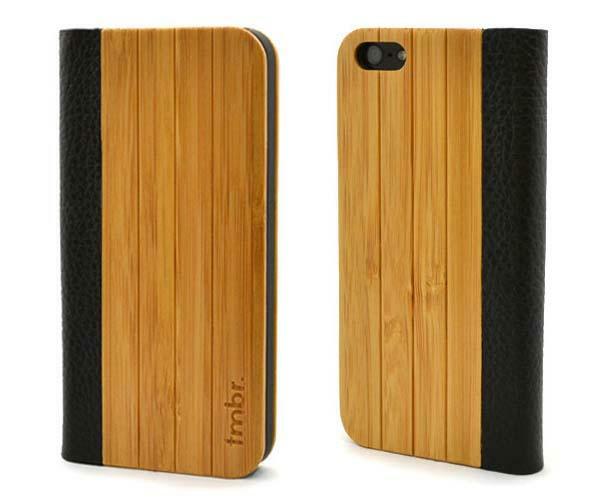 As we can see from the images, the iPhone 5 case features elegant and exquisite design, and consists of two bamboo wood pieces connected using genuine leather for catchy and natural looks, while using a reinforced black plastic casing the wood case is able to effectively protect your iPhone 5 from bumps and scratches, moreover, the magnetic closure keeps your device securely in place when you’re on the go with it. Apart from that, the custom openings allow you ease access to the buttons and functions of your iPhone 5. The handmade bamboo wood iPhone 5 case is priced at $32.95 USD. If you’re interested, jump to Etsy for more details. Additionally, If you need other options you might like to check the book wooden iPhone 5 case and more via “iPhone 5 case” tag.